As a stay-at-home parent, it’s often times impossible to get and keep a 9-to-5 job. This doesn’t mean that you should make coupon clipping your favorite activity, though. Here are several proven home-based business ideas that don’t require a large investment. 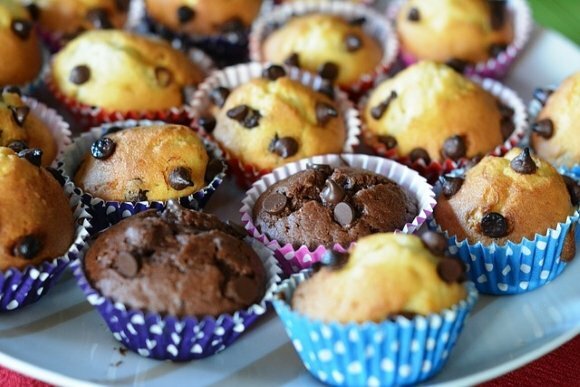 If you love baking stuff, homemade cookies can be quite profitable. Share some tasty samples with a few local stores owners, and see what they think about them. Then, if you’ve got a green light, you will only need to pack your products in an attractive way and they’ll sell like… cookies! Having a data entry job may sound boring, but it’s an activity that can be done whenever you’ve got a few minutes of spare time. The pay isn’t always great, but if you put in enough effort, you can earn at least a few hundreds of dollars per month. If you are a crafty person, making greeting cards may prove to be both fun and profitable. But don’t start creating cards that nobody will want to purchase! It’s best to do your research first. Chat with specialized shopkeepers, and find out which cards sell best. Then, start designing those hot selling cards, but add your own twist to the process. 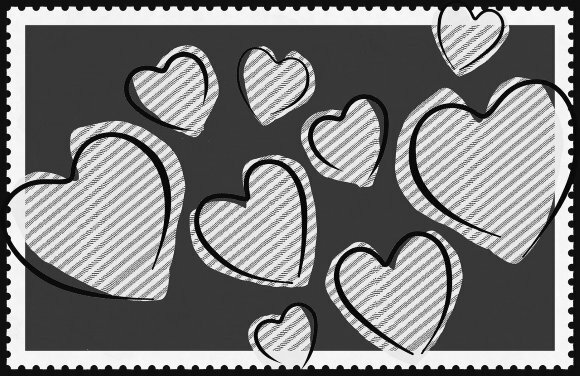 You could design birthday cards using only black and white colors, for example. Some stay-at-home moms earn hundreds of dollars per month by filling in Internet surveys. In a nutshell, you are given a website page address, and you have to visit it and answer several questions. Most companies will pay you a few dollars per survey, but make sure that you are working with a reputable company, which doesn’t just use your services, and then refuses to send you the money. Simply Google “company name review” and see what others have to say about it. It’s easy to sell things online these days, and one of the best sites that allow you to do that is eBay. Start selling by getting rid of stuff you don’t need anymore – or you’ve never used! 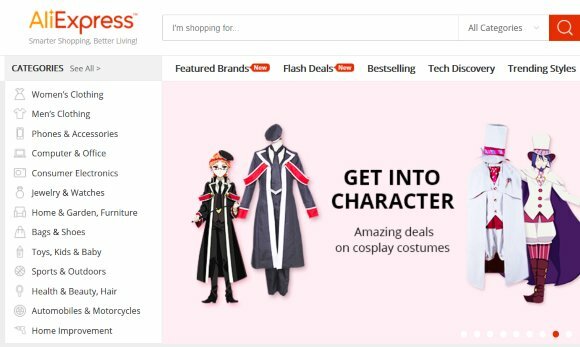 Then, if you discover that you’ve got what it takes for this business, try your luck with AliExpress, picking products that can be shipped straight to your customers. Many people have made millions by simply selling products that have been imported from China. Who knows, you may be the next millionaire on the list! If you’ve learnt a foreign language, many people may be interested in your services, but they don’t know that you exist yet! Fortunately, there are several established translation sites, which can put you in contact with people looking for translations. Most people have a very busy schedule these days, and some of them value their time much more than their money. This explains why many professionals choose to hire virtual assistants, who will help them take off some pressure and buy them time by answering phone calls, reading and replying to their emails, scheduling meetings, keeping their calendars up to date, and so on. You will only need an Internet connection to start doing this activity. Few moms are web designers, but trust me – it’s an easy to learn job. All you need is a good eye for design! 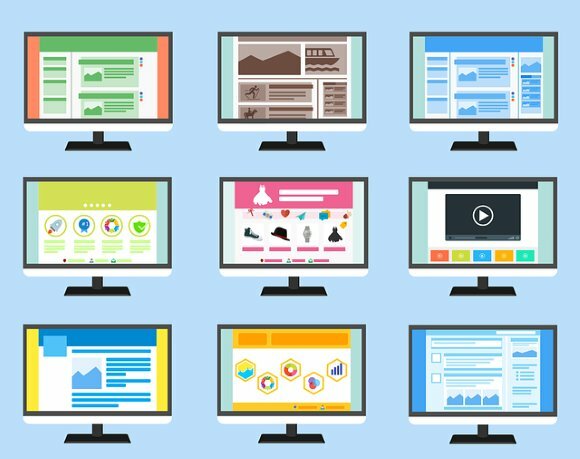 Then, pay a few dozens of dollars for a web design course or – even better – take a free course online. The best part is that you can start finding customers by asking your relatives and friends, and even advertise your services in a local magazine. Speaking of magazines, if you know your grammar and have a bit of talent, you can write articles for various publications. The pay ranges from $20-$400 per piece, and a couple of well-written articles can help you attract many more customers. Have you ever heard of Clickbank? It’s one of the biggest digital marketplaces out there. Create a free account, and then look for products that you can promote on your blog. Yes, even on a blog from this list of free blogs. Anytime people click your dedicated link to the digital product (known as an “affiliate link”) and purchase it, you can earn some money. In fact, if you are an expert in your field, you could even create your digital product and sell it using one of Clickbank’s vendor accounts. I spend most of my time at home! There, I’ve said it! But as bland as this may sound to you, working from home has its benefits. To make the most out of it, though, you will need Internet access. Wireless Internet access, to be more precise. Read this guide find out how you can set up a Wi-Fi network in 30 minutes. Begin by purchasing a good broadband router. 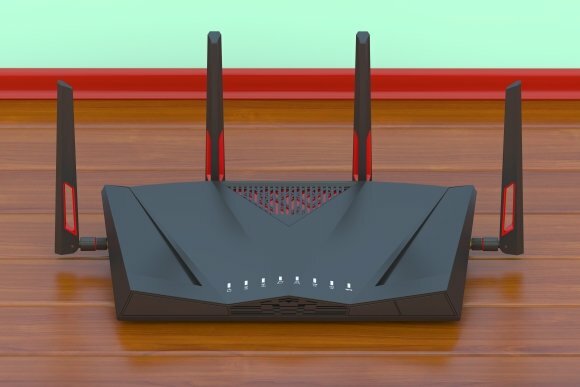 It’s a device that connects to your Internet service provider (ISP), and then is able to broadcast data wirelessly, allowing your devices to connect to the network. Pick a router that supports both 2.4 GHz and 5 GHz bands; this way, you will be able to get the best of both Wi-Fi worlds (range and speed). Also, it is wise to purchase a router that utilizes detachable Wi-Fi antennas. This way, it will be easy to replace them in case that their coverage isn’t good enough for your needs. In addition to this, you can easily connect antenna cables into the router plugs, and thus be able to position the Wi-Fi antennas anywhere you want them – not necessarily close to each other. Let’s begin by choosing a suitable location for the router. Ideally, you should place it near the center of your home, as close to the ceiling as possible. Don’t worry, it’s not a crucial decision, you can move the router to a different position anytime you want to. We are only interested in getting the things running for now. Connect the power source to the router, and then plug it in. Then, connect your modem or cable to the router. I am talking about a cable that connects the little box you’ve gotten from your ISP to the router. You will need an inexpensive Ethernet cable, which may have already been included in the router box. In fact, you can even build one! Just kidding 😉 Here’s a picture of an Ethernet cable, in case that you’ve never seen one before. Sometimes your ISP isn’t providing a modem, so you will have an Ethernet cable that can be plugged straight into the router. One way or the other, the Internet cable has to be connected to the router’s WAN plug; otherwise, you won’t be able to set up the network. Here’s a picture of the WAN port, in case that you get lost. Now that everything is set up, it’s time to turn on the router using its power button. 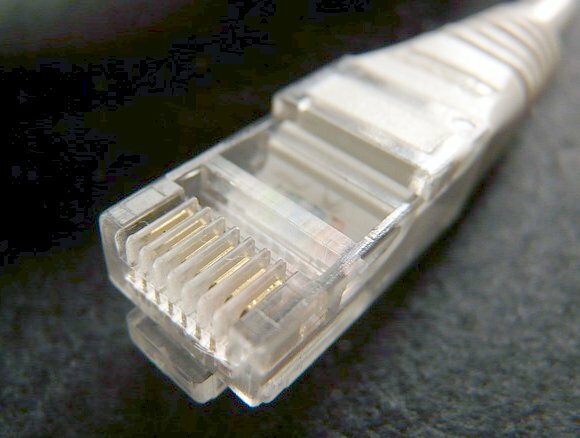 Routers are able to broadcast wireless signal, but they also include plugs for cable-based network connections. We will use the latter version of the connection (the wired one) for now, because it makes things much easier on our end. We need to use another Ethernet cable to connect the router to the computer; you can purchase one, because it’s really cheap. 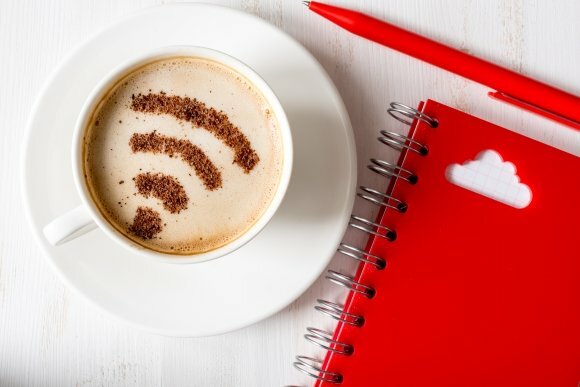 Don’t worry, after we are done with the setup process, you can also connect your computer to the network wirelessly, if you prefer that option. In this case, the computer will need an inexpensive PCI-based Wi-Fi card; the good news is that most laptops already include one. It’s time to check out the router manual. Go to the page where it tells you how to connect to the router’s admin console. Most routers can be accessed by typing 192.168.1.1 into the browser address bar, for example. It’s best to look up the needed information into the manual, though. 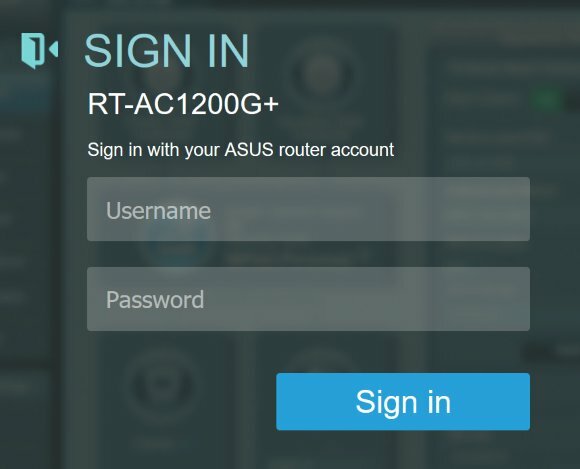 If all works well, you will be greeted by your router’s admin login page. You will need a username and password, which are often times “admin/admin” or “admin/1234”. Once again, the needed info can be found in the manual. Now that you have logged into the router, it’s time to set up the Wi-Fi network. Go to that router admin page, and then choose a random name for the network name (often times called SSID). Pick a strong password that consists of uppercase and lowercase letters, numbers and special characters. In the unlikely event that your router doesn’t suggest it, be sure to pick the WPA2 data encryption protocol, the only one that’s powerful enough to keep other people away from your network. Of course, if your computer includes a wireless adapter, you can now connect it to the Wi-Fi network as well. That Ethernet cable you’ve bought is not needed anymore, so now that I think about it, it may be wiser to borrow it from one of your neighbors, rather than buy it. You won’t need the cable for more than half an hour, after all.